This book delves into the rationale, components of, and responses to accusations of judicial activism at the European Court of Justice. Detailed chapters from academics, practitioners and stakeholders bring diverse perspectives on a range of factors - from access rules to institutional design and to substantive functions - influencing the European Court's political role. 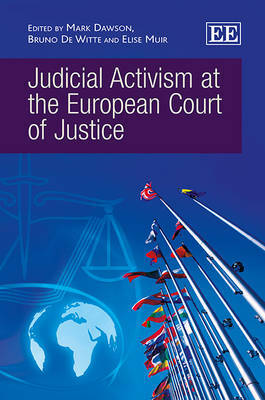 Each of the contributing authors invites the reader to approach the debate on the role of the Court in terms of a constantly evolving set of interactions between the EU judiciary, the European and national political spheres, as well as a multitude of other actors vested in competing legitimacy claims. The book questions the political role of the Court as much as it stresses the opportunities - and corresponding responsibilities - that the Court's case law offers to independent observers, political institutions and civil society organisations. Judicial Activism at the European Court of Justice will appeal to researchers and graduate students as well as to EU and national officials.